It is already the third week of Summer? Crazy! Our summer started off with a bang taking a surprise week long trip to the mountains. It was SO fun, but with no advance notice I didn't get any blog posts scheduled. Then we got home and my sister and her kids surprised us with a visit for about a week! We had a blast! It has been really nice to just chill and spend time with family. So now you know why I have been MIA. 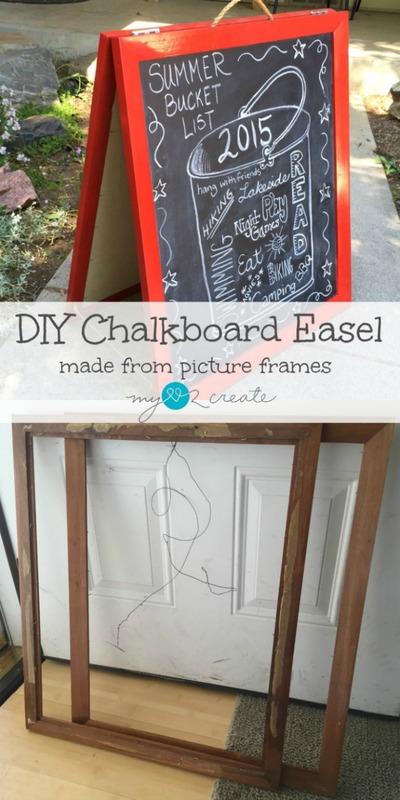 I have had several sick kiddo's too, and I just haven't been able to pull anything together...so I am going to share one of my contributor projects from My Repurposed Life, A DIY Chalkboard Easel, made from old picture frames. I seriously love this project. It was super easy and cheap. Plus it can be used for so many different events or just as home decor! I did a simple chalkboard art to help inspire my kids on this side. Can you see the chalk pouch? So do you think you want your own? I simply used two old picture frames, hinges, scrap leather, rope, twine, and THIS from Home Depot for just under $10, sa-weet! If you want to make one please check out my picture tutorial! Stay tuned for a fun repurposed project later this week. Oh, and don't worry I am STILL working on my room...longest project EVER! Super cute Mindi! I love the 'bucket' list, how great is that. Love this idea, thanks for sharing. This is really great! I'm definitely adding this to my craft to-dos. Still loving this project so much Mindi. hope the kiddos feel better real soon. pps catching you next week! super swell idea! pinning to the Trash 2 Treasure highlights board. Looks awesome! And I love color you chose. This is so smart! I really like the contrast between the black and red. What a cute idea! I love it, you're very creative. And, your bucket list is awesome! Pinned. I love this! 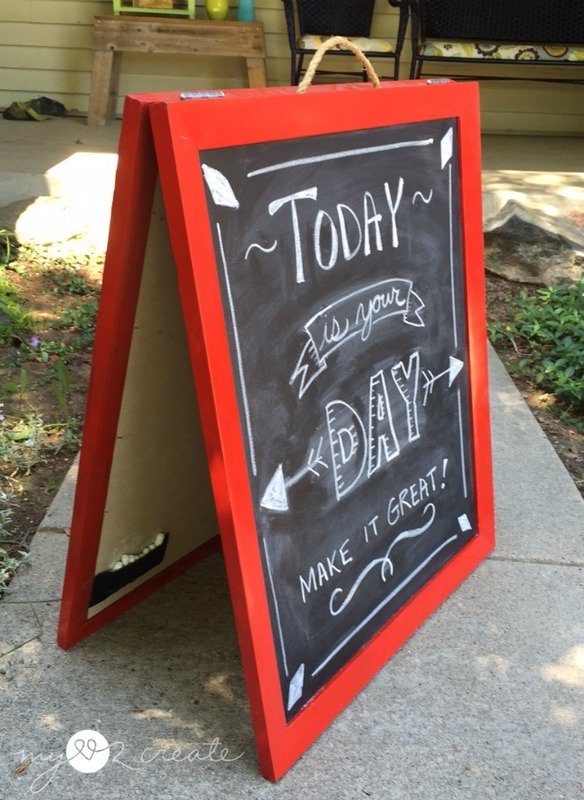 The red frames look great with the chalkboard. Thanks for linking up at Talented Tuesday! 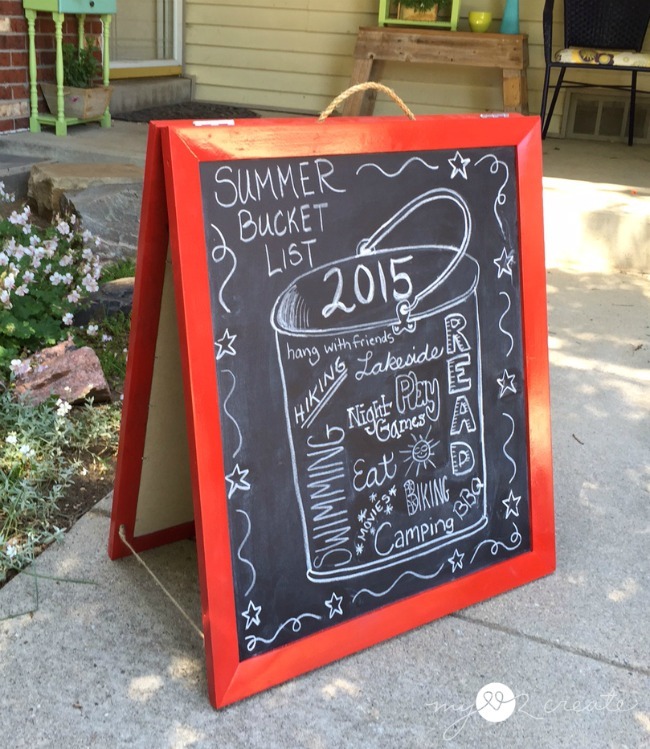 This is such a neat idea, and I love your summer bucket list :) Thanks for linking up with Creative Spark. I'm featuring your easel tomorrow! Hope you'll link up with us again - the party starts at 6am EST. Hi Mindi, what a cleve idea. I love it! Thanks for sharing it with SYC. I will be featuring you this week. 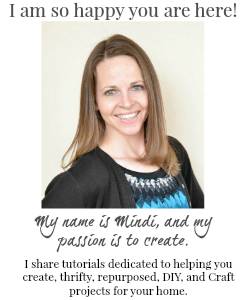 Hi Mindi, love your easel! Just letting you know I'll be featuring it tomorrow on Best of the Weekend! So fun to use for a summer party!! Pinning & sharing this up-cycle project. Love it! Have a great 4th of July & thanks for always sharing at the Inspiration Spotlight party. Love your projects. Wow! It's an amazing idea. 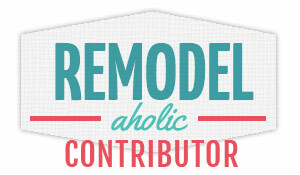 I'm a DIY lover and loves to work. I'm sure i will make a picture frame. No doubt it was a lot of hard work. But you did really a nice job. One question please - which power power tools you have used here? Could you please name them?